A beautiful mixture of enticing threads teeming with texture. 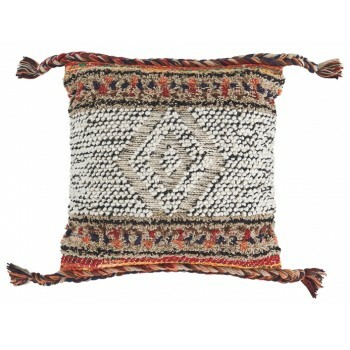 This throw pillow is a bohemian rhapsody for the senses. Diamond design and braided tassels infuse global, trend-right style into your home.